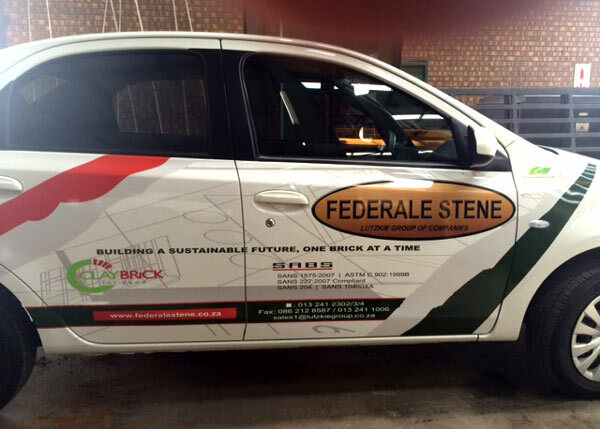 While the Clay Brick Association works hard to promote clay brick as THE superior building material, it is up to individual members to promote the benefits of their own company and products to local buyers. Several CBA members have undertaken promotional initiatives to ensure that their company is "front of mind" when quantity surveyors or contactors ask for quotes. Since we all spend so much time on the road, members are using billboards and vehicle signage to get their sales message to new customers. This advertising improves both the visibility of their company name, as well as reminding prospects of their quality, reliability and service. 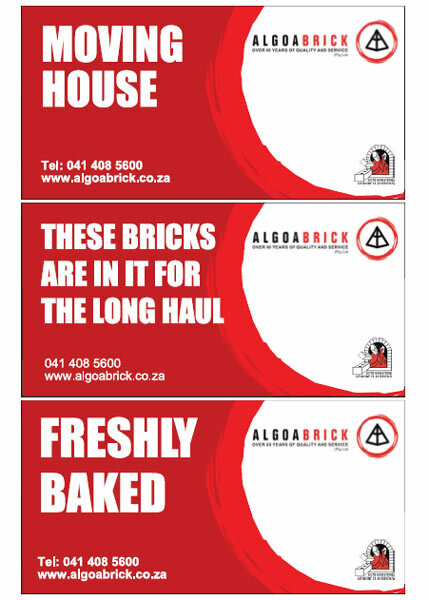 And of course we at ClayBrick.org are especially pleased when you include our logo on your marketing material. 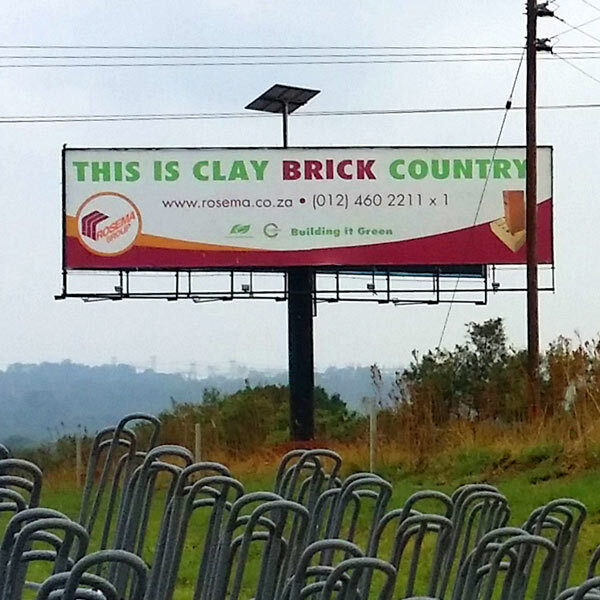 Rosema Bricks has placed this very visible, giant billboard on the busy R21 between the Airport and Pretoria, to make sure that people not only remember that Gauteng is "clay brick country" but also that Rosema is an important local supplier when you want to buy those clay bricks! Vehicles are "moving adverts" are a great opportunity to be seen daily by local buyers. 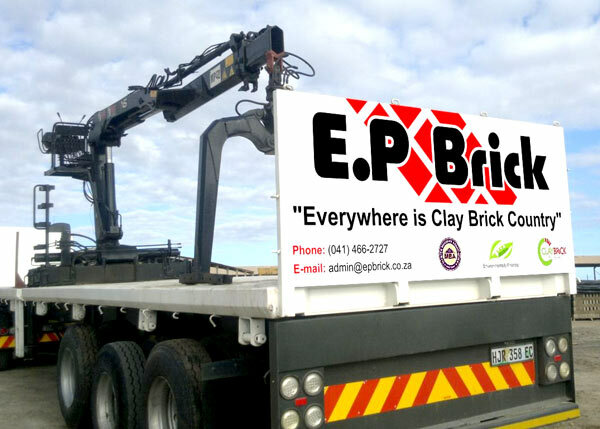 Customers feel more comfortable buying from a company that looks successful, and every brick delivery reminds people that YOUR company's bricks are popular. We all especially love a little clever humour to lighten the boredom while driving. And if people comment to friends, or share a cellphone photo, all the better! If your business’s target market is local, then vehicle signage is one of the best marketing strategies that you can use. Driving around your sales area gives you the opportunity to be in front of local residents and business owners. With vehicle graphics, you pay a one time investment that give good marketing value for years. Don't forget that your vehicle needs to make a good impression at all times - so make sure it is clean and in good repair! Creative promotion is an essential element in the corporate marketing mix. It's a tool used by businesses, both large and small, to inform, persuade and remind customers about the products and services they have to offer and improve their visibility in the market. Newspaper and magazine adverts can be expensive and short term but well-considered "physical" promotional ideas like useful gifts, calendars, posters, stickers and printed handouts can cost very little and make a BIG impression!